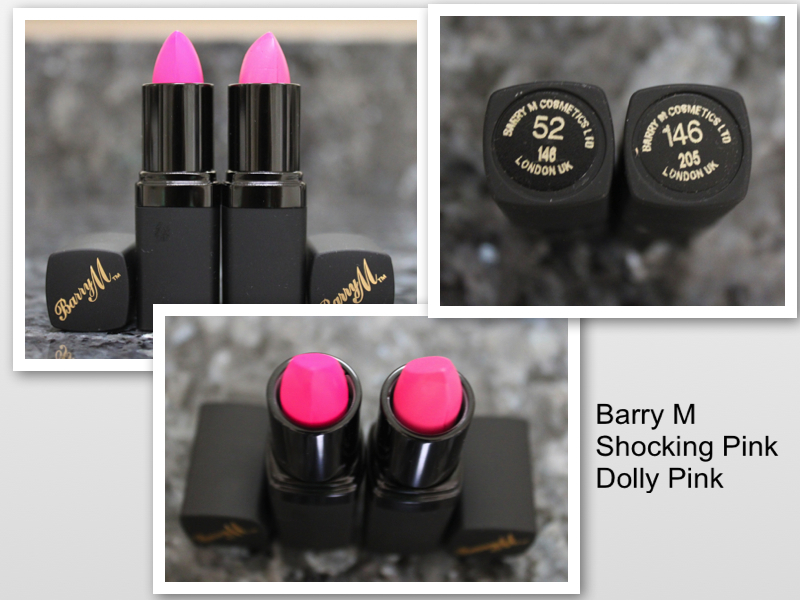 I've been waiting for the arrival of the Barry M lipsticks. I purchased these two shades. They have a matte consistency to them. They aren't as pigmented as the NARS Schiap or SMASHBOX Fuchsia Flash Matte but you still get a good color payoff for the price.